Paper Shooters: The Return! Launches January 30th! Nerf 2015 (some of it)… have you got yours? 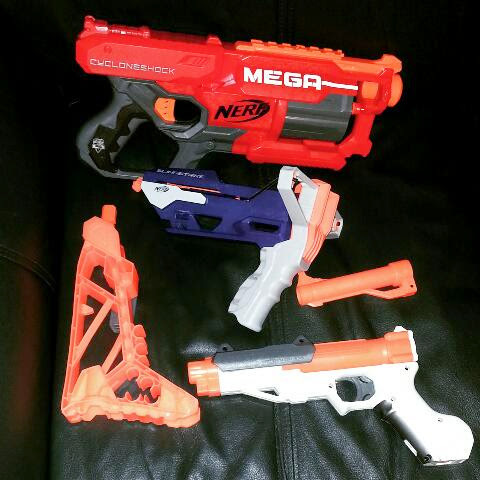 My Nerf 2015 pickups so far: Nerf Sharpfire, Slingstrike, Mega Cycloneshock. Still need to get my Flipfury, and waiting to find a Crossbolt.